Many of the Catholic Faithful appreciate the Feast of Christ the King as marking the end of the liturgical year. Those who pay attention to the scriptures explore eschatological issues. 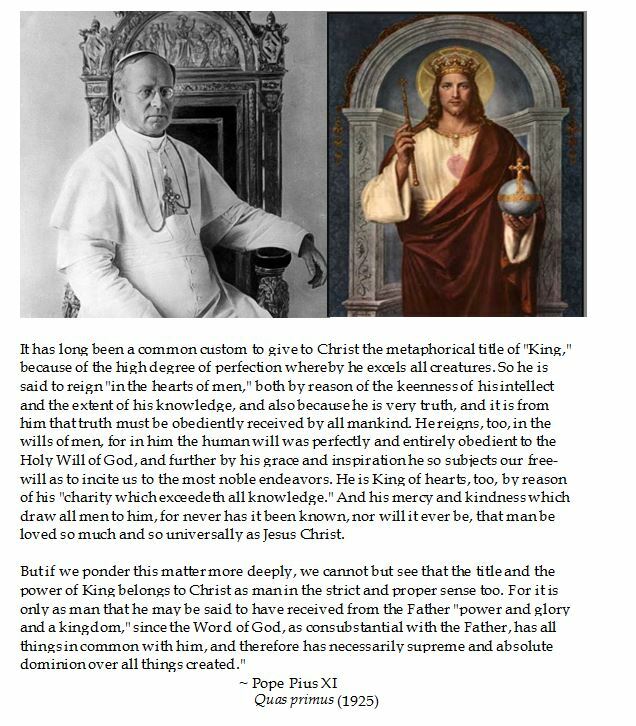 But it is useful to understand why the Feast of Christ the King was added to the Church calendar in 1925, through Pope Pius XI's Apostolic Letter Quas primus (1925). The Feast of Our Lord Christ the King emerged at a time in which nationalism, secularism, fascism and communism was sweeping the world. It was placed as the last Sunday in October, and was intended to give the faithful strength and courage to live the Kingdom of God in this world. In a motu propio Mysterii Paschalis (1969) by Pope Blessed Paul VI, the feast was moved up to be a Solemnity and given a new formal name "Our Lord Jesus Christ, King of the Universe". By moving it to the last Sunday on the liturgical calendar, the significance of last things becomes more poignant. Many Protestant and Orthodox Christians, such as the Anglicans, Lutherans and the Russian Orthodox outside of Russia followed the motu propio after 1970 and moved celebration of "Christ the King" to the last Sunday before the start of Advent.